Pretty nice to lie out in the pool, in cold weather, and admire the view! 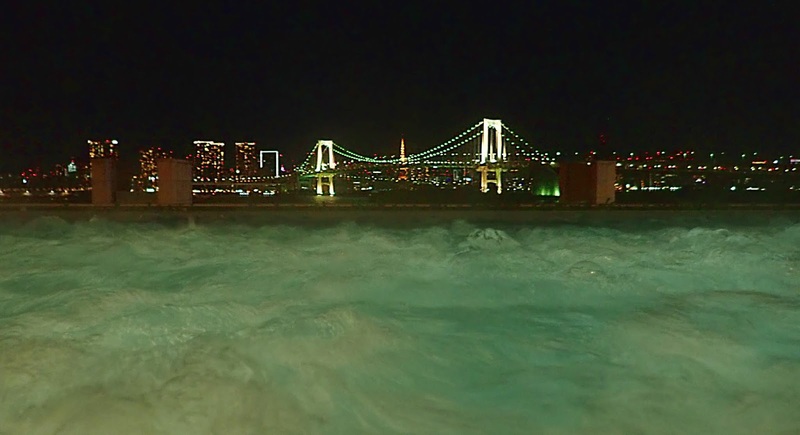 I'm staying at the Hilton Tokyo Odaiba, and visited their spa every night. I don't have good Hilton status any more, so I have to pay to get to the spa (around 30€ for the first time, 10€ for the next). But well worth it. 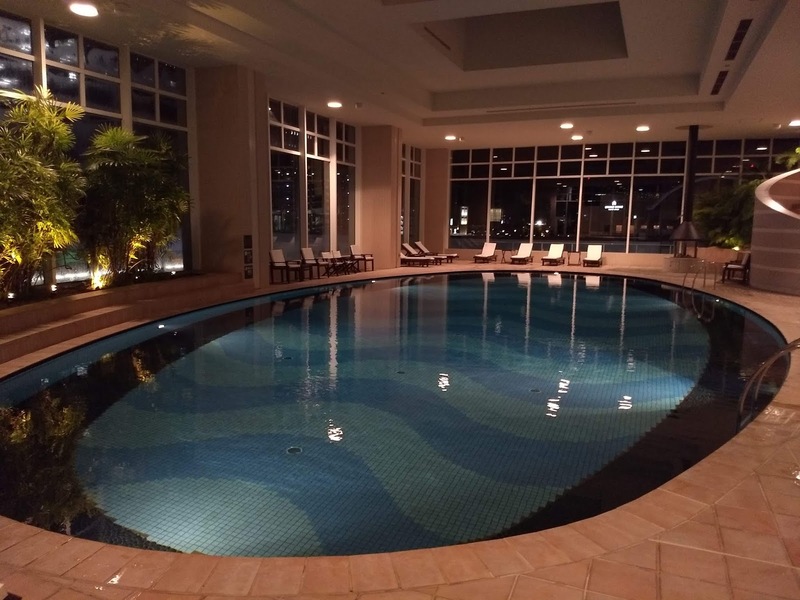 There is the hot outdoor pool, a slightly less hot indoor large jacuzzi, a large and very nice oval-shaped indoor pool, a steam sauna and the hot sauna. Photos and text (c) 2019 by Jari Arkko. All rights reserved. 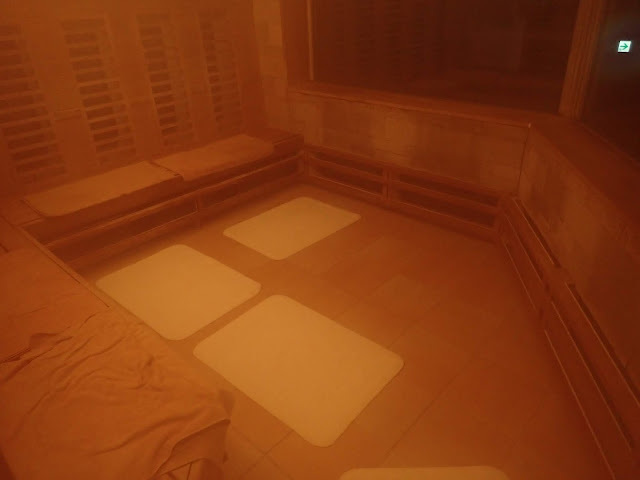 All sauna and pool photos have been taken when the facilities where closed, when no other guests were present, or with permission.